If you own a pet, there are many important things to keep in mind. You not only need to make sure their environment is safe, but you also need to know what pets should and shouldn’t ingest. In addition, it’s important to remember some pet first aid tips, just in case an accident occurs. Pets will require different items then those included in the first aid kit for your human family members. Phone numbers for your veterinarian, emergency veterinarian clinic (if your vet isn’t open 24/7), and animal poison control. A leash and muzzle are helpful if your pet is injured to keep both you and your pet safe. Even the friendliest of pets have a tendency to bite when they are hurting, the only way you can help them is to muzzle them. Digital thermometers are used rectally to monitor the temperature of your pet, keeping in mind normal body temperatures are typically between 100 and 103. Hydrogen peroxide can be used to induce vomiting in your pet, but should only be used after you have spoken to a doctor to get an accurate dose for your pet. Similarly, after speaking to a veterinarian, you can use the milk of magnesia with activated charcoal to help absorb toxins your pet may have ingested. Lastly, supplies like gauze, strips of cloth, and adhesive tape are used for lacerations and wound care. If your pet is bleeding, it is important to apply pressure and attempt to get the bleeding under control as quickly as possible.You may need the eye dropper to administer medicine or help flush a dirty wound. If you suspect your pet has been poisoned, it’s important to act quickly. Whether you think your pet has accidentally ingested something that it shouldn’t have, or even if it may have been purposefully poisoned, you must act fast. In fact, you need to seek emergency care for your pet immediately.In many cases, your pet may only have a few hours before something critical happens. When speaking to a professional on the phone they may suggest you use either hydrogen peroxide to help your pet to throw up the poison, or milk of magnesia to help decrease absorption of the poison before you are able to bring your pet for further care. Either way, you never want to give your animal either of these things without speaking to a professional since choosing the wrong option may make matters worse. Sometimes our pets can swallow more than they can handle or chew on something that they shouldn’t. If that happens, you need to be able to do something to alleviate your pet from choking. If your furry friend is choking and clearly in distress, you should first try to see if you can see the object in the pet’s throat. Depending on the size of your pet, you might be able to open their mouth and actually see the object that is choking them. If you can easily see and grip the object, carefully pull the object from the back of their mouth. Be aware that your pet is more likely to bite when it’s in choking distress. If you are unable to remove the object or your pet collapses, you should try to lay it on its side and strike the rib cage with the palm of your hands 3 to 4 times. It is important to take your pet to emergency care while trying to perform these lifesaving acts in the event that you are unsuccessful. If you suspect that your pet is suffering from heat stroke, remove him or her from the heat as best and fast as you can. Place a cold wet towel around his or her neck and head without covering the eyes, nose, or mouth. It may also be helpful to apply moisture to their paw pads and ear flaps. It can be very dangerous to suddenly plunge your pet in a cold-water bath as it can cause vasoconstriction and shock.Switch out the towel regularly until you are able to get your pet to a veterinarian for medical care. For external bleeding, it is best to muzzle your pet to help you better treat the wound. Apply pressure with a gauze pad over the wound to help to control bleeding. Try not to lift the gauze frequently to “check” for control since clotting will more easily and quickly develop if unagitated. Consider using an eye dropper to help flush the wound from any dirt and debris using clean water. Seek medical attention even if you are able to get the bleeding to stop since internal bleeding may not be visible or the wound may require further medical care like antibiotics or sutures. Seizures happen differently for different pets. If you suspect your pet is having a seizure do not put your hands near its face. Remove any potentially dangerous furniture or objects from the area so your pet doesn’t get hurt. Time the length of the seizure because it will be very helpful information to give to your vet when you call them. 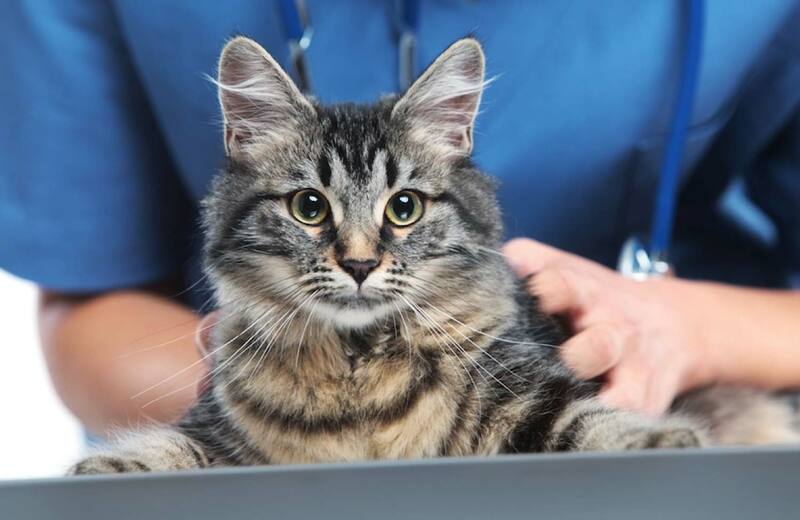 Even if the seizure stops, be sure to call your vet and ask for further instructions on what to do with your pet. There is a lot to remember, but it’s very important to internalize this information, and in some cases, may be the difference between life and death. Learning even more about how to properly take care of your pets in an emergency may save your pets life, please contact us for even more information.